DVDs are built to be scratch-resistant, and for the most part, they are. But sooner or later, no matter how carefully you store them, they will all get scratches. It could come from wear and tear, not holding them properly, or a simple accident. The good news is, a scratched DVD need not be disposed of right away. Scratches can be fixed with the right solution. All it takes are everyday items found in just about any home. Here’s how to fix those DVD scratches. Step 1: Identify the scratched areas. Hold up the disc against the light to see the exact location of the scratches. It’s very important to determine their exact location. This is because not all scratches are reparable. If the scratch is on the upper label surface, then there is nothing you can do about it. Step 2: Treat the scratches. There are a number of ways to treat the scratches. You can try applying a few drops of liquid auto wax. Wait for the wax to dry and gently clean off with a piece of cotton. But don’t clean it off in a circular motion. Instead wipe across the DVD. Silicone oil spray works, too. Just be careful not to use too much or the disc will be unreadable. Spray a small portion on and rub it over the surface with paper towel. Toothpaste is another good remedy. Since its particles are abrasive, they easily can work their way into the scratches and fill the gaps. It’s best to use a small pointer to gently rub the toothpaste onto the scratches to even them out and bring them closer to the surface. When using toothpaste, however, be very sure to clean off properly. Toothpaste inside a DVD player is definitely not good. Any other mild abrasive such as a furniture polish or plastic polish will also do. Whatever you choose, apply a small amount and buff lightly till dry. Keep in mind, though, that not all DVD scratches can be corrected or fixed. If the scratch is too deep, then it’s pretty hopeless. But for those scratches that can be corrected, it’s worth the effort to do this, especially if the DVD in question is a home video that can’t be bought at the video store. A DVD of a wedding or a birthday or any other special occasion is definitely worth saving, simply because the memories stored in them are priceless. Spam emails – Technology-related problems and their solutions. Checking Your Tires – All about Spotting spams and tires in bad condition. Ask for Raise – Working and work-related issues. Netbook – On gadgets and other things related to technology. Plumbing The Easy way – On how to do or fix things on your own. Why do we need to fix scratched dvds? Well, we need to do that because we spent money buying those dvds and buying another would be a waste of good money. Fixing the scratched dvd is more practical and we can use our money to buy new ones instead of replacing the scratched one. Another reason is that fixing a collectible dvd can prove to be valuable in the future. You can probably sell it or give it to your children so they can view the classics. 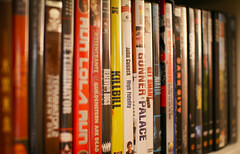 Due to their low costs and high storage capacity DVDs are part of almost every person’s daily lives. Whether it contains movies, important events, documentaries and educational programs, they have become invaluable means of storage and communication. Fixing them can be quite easy, toothpaste and a brush and you’re all set, you can also opt to buy a DVD refinisher which can be found at most local radioshacks. These things work by polishing the bottom layer of your DVD, taking out the scratches. And if all else fails, you can search the internet for some recovery programs which can help you recover files from your damaged/scratched DVD, though your DVD can not be used again, the precious memories inside can be copied into your Computer’s hard drive. An ounce of prevention is better than a pound of cure. Make sure that you store dvds in its proper case to avoid scratches. In case you see a small scratch, fix it right away. Make sure to clean it first with a detergent or liquid soap or you can also use rubbing alcohol. Try to play the DVD if it worked. Usually, this does the trick. But if it didn’t, you can go to any computer store or office supplies store/electronics store and ask them any DVD polisher. Don’t hesitate to ask for any suggestions to recover your data just in case it failed.